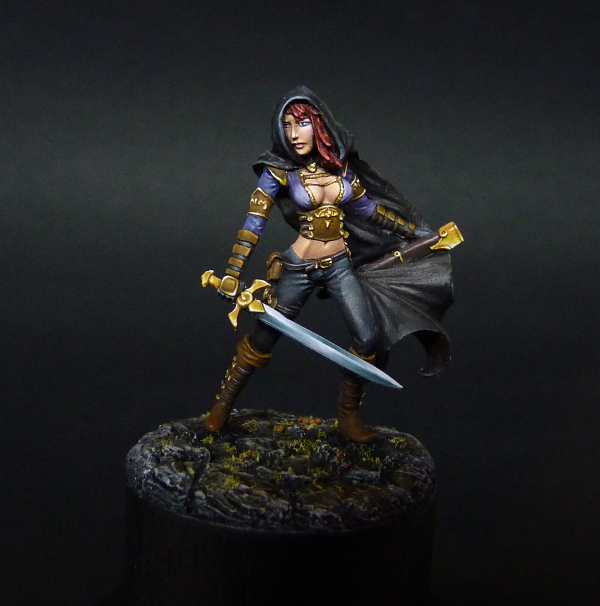 I wanted to share my latest finished miniature with you. 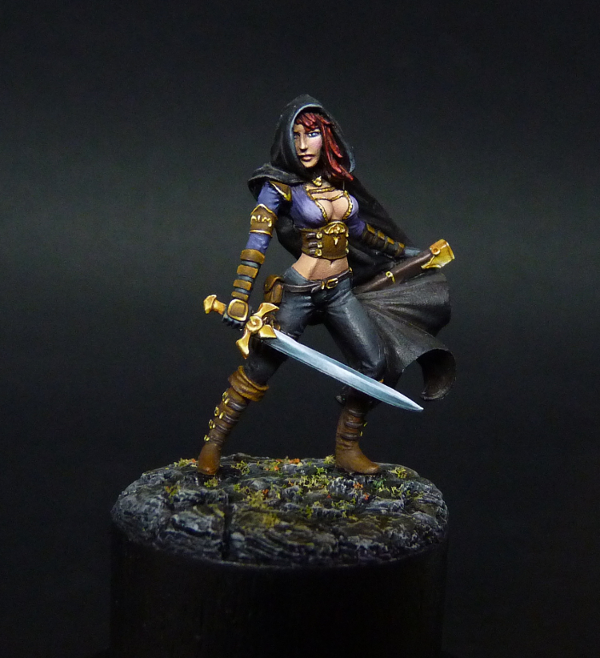 This is the female assassin from Dark Sword Miniatures. I am a really big fan of the Dark Sword minis, they have so much detail on them and very pretty faces. I originally started this piece as a laid-back piece, just enjoying the painting. I did of course enjoy it very much, but I am just very set on getting everything perfect. So I spent a lot more time on her than I originally had expected, but in the end I am very satisfied. I wanted to try to paint her in a typical Dark Sword style, using similar colours as the ones from the box art by Jessica Rich. Of course, I added some personal touches as well, such as the vibrant red hair and the strong pink cheeks.